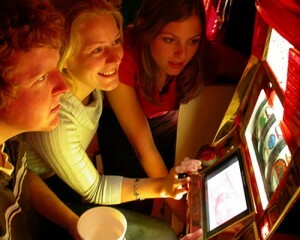 Who actually uses online casinos these days? This is a question that has been on my mind for some time now. Based on my own personal experience, there has been no decline in the number of adds for online casinos the last couple of years; in fact, almost the opposite appears to be the case. If online casinos are advertising for their games, I can only assume that there must be a market for them – but who are these people playing on online casinos, and why do they like using them? My personal experiences with online casinos go back to 2001-2002 when I was studying Biophysics at the university. It came to my attention, that online casinos were giving out insane bonuses to attract customers. Bonuses that were a lot easier to cash out on than today’s bonuses. So I armed myself with a blackjack guide and a deal with my bank to limit the fees I would pay when cashing in casino checks. During a 4 week period I grinded myself to a healthy 500$ profit and then lost interest. Must have been the exam period coming up. In any case, when I started gaming online again poker was the new hot thing, and I haven’t tried a UK online casino (or any online casino for that sake) since. I’ve been to a few regular brick-and-mortar casinos and like the atmosphere there; like it enough to be able to spend a couple of hours and feel satisfiably amused. But in an online casino I can’t imagine you get the same atmosphere. It’s just you sitting in front of the computer screen. There are no free drinks, no people to watch, and no cute hostesses to listen to your cheesy jokes. So this leads me to my question: Do you use online casinos? Do you think they are fun? If so; why? I would love to hear your personal experiences on this.